We are glad to inform you that we can provide a confortable and guided Island Boat Tour. 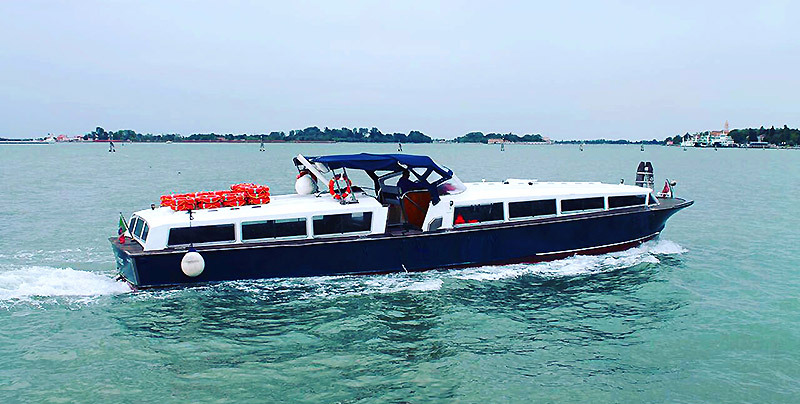 This tour will allow you to experience the most beautiful parts of the Venice Lagoon in a comfortable, reliable and fast boat tour. Firstly, you will be taken to Murano, the home of the famous glassmakers, then to Burano, famous for its lace and crochet crafting, and the last stop a visit to Saint Mark’s Square, the heart of Venice. Our staff will welcome you and take care of you during the tour with our tour Captain, Boatman and multi-lingual Guides available to you at all times. The on-board Guide will explain during the tour the history and culture of Venice’s islands and will gladly answer any questions or curiosities that you might have. The whole excursion takes about 4 hours.